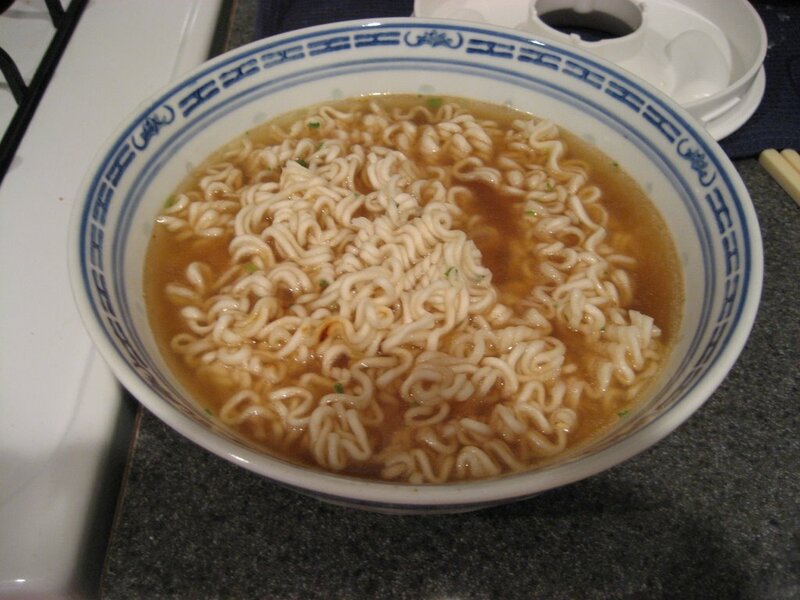 A celebration of the culture, history, and most of all, taste of ramen noodles! Fresh ramen and instant ramen are reviewed with lots of pictures to bring the experience directly to your computer screen. Now go out and get some noodles! Sometimes you're just not in the mood to set your mouth on fire or consume an entire 120g ramen. In those times, Nissin Demae is a good reliable brand that will provide a tasty meal in a manageable portion. The miso flavor comes with two spice packets. I'm not sure what the difference is between the two, since they are both brown powders. Nevertheless, the result is fragrant and flavorful. 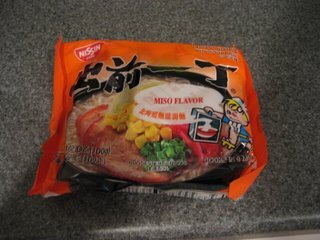 It doesn't taste anything like miso - but since when were ramen flavors supposed to taste like how they are advertised? The picture on the front of this ramen shows veggies and meats. The miso flavor would definitely be a great base upon which to add toppings. The packets lack dried veggies, such as green onions or carrot flakes, that provide needed color and texture to many other ramens. But on the whole, this is a thoroughly solid ramen that should be a staple in every Ramen Lover's pantry. 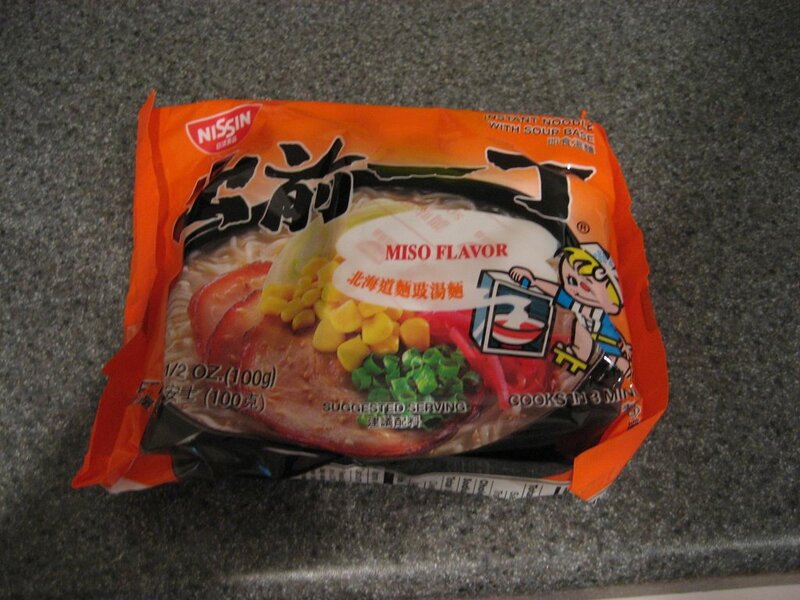 Here's a flavor that's pretty different than the standard instant noodles that you find. It is based on a common Chinese and Korean dish called Chajang Myun. This dish is traditionally served with ground beef or pork and a slightly sweet sauce made with black bean paste. I am not really a fan of this dish, but I was curious as to what the instant noodle version would taste like. "Chapagetti" is certainly an interesting name for these noodles. 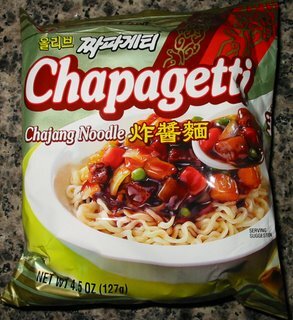 I guess they are trying to say that it is a blend of Chajang and Spaghetti...? These noodles have a little different cooking instructions than what you usually see since they are not supposed to be served with soup. 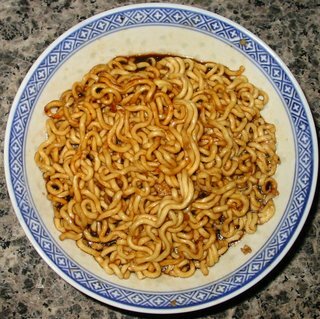 You must boil the noodles in water and then drain them and add tablespoons of water and add the sauce packets to create the sauce. 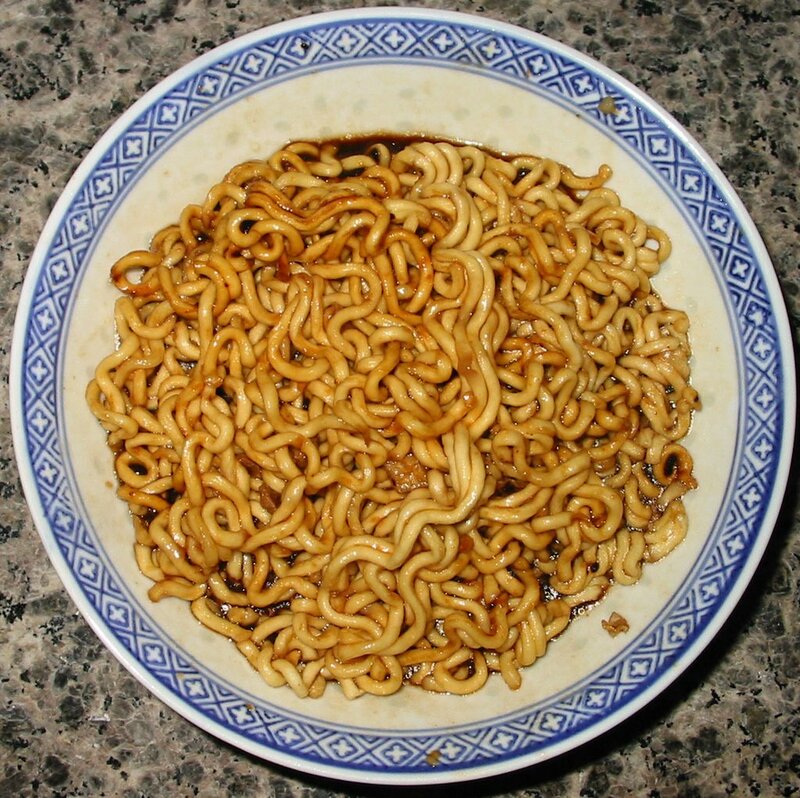 These noodles came in the convenient circular brick form, although this convenience was largely lost since the cooking method required independent boiling. The circular brick is really only helpful when you can cook the noodles in the bowl and not have to drain them. Strangely, the sauce came in pellet form but dissolved easily enough in the water to form a very dark sauce. The flavor was surprisingly mild. It definitely tasted like the right kind of flavor, it's just not as strong as I am used to getting when this dish is homemade or served in a restaurant. I won't be buying this again because it just wasn't that good. Nong Shim is a quality brand, but don't go for this one!